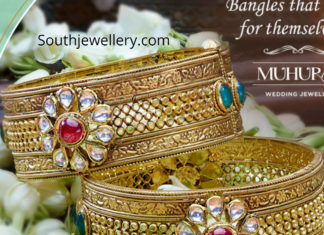 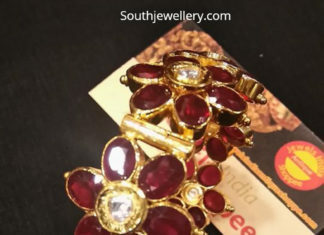 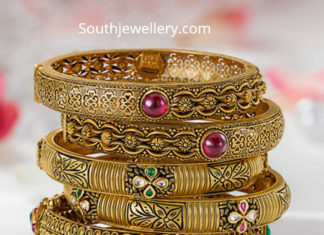 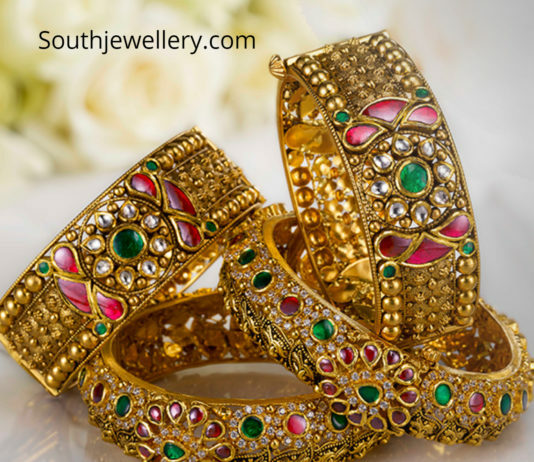 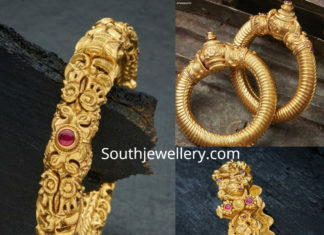 22 Carat gold antique bangles studded with rubies, emeralds and polki diamonds by GRT Jewellers. 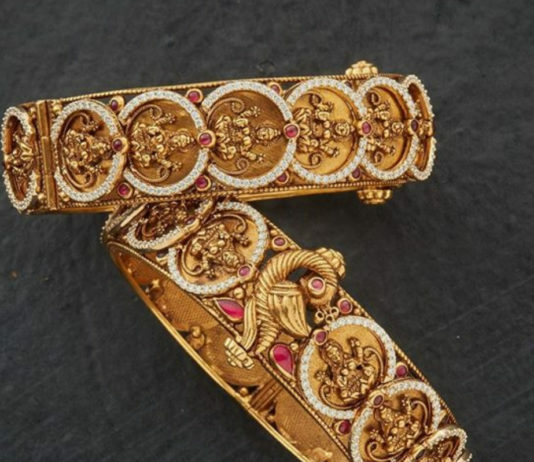 22 Carat gold antique broad bangles studded with kundans and colored stones by Kalyan Jewellers. 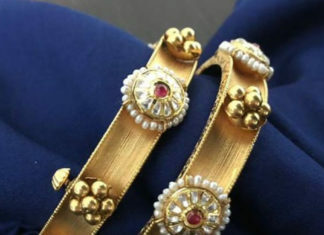 22 Carat gold antique bangles studded with polki diamonds, rubies and pearls by Harini Fine Jewellery. 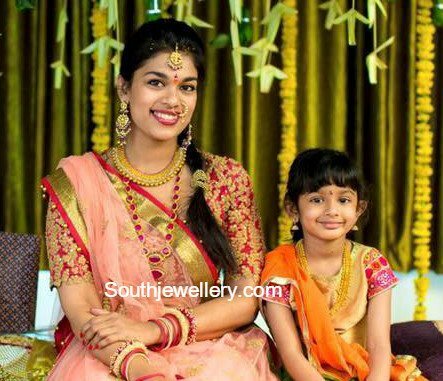 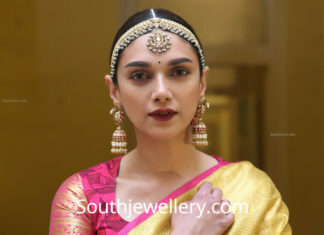 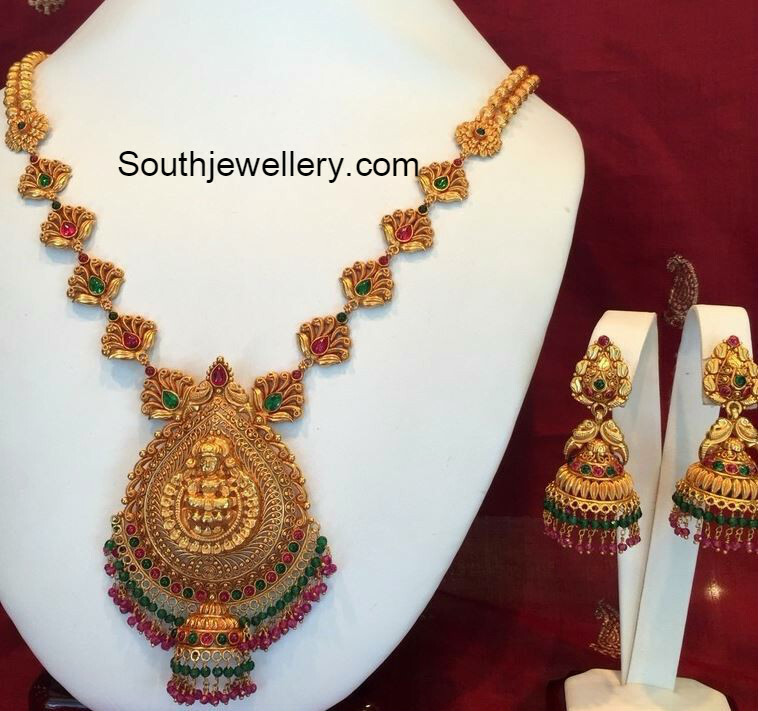 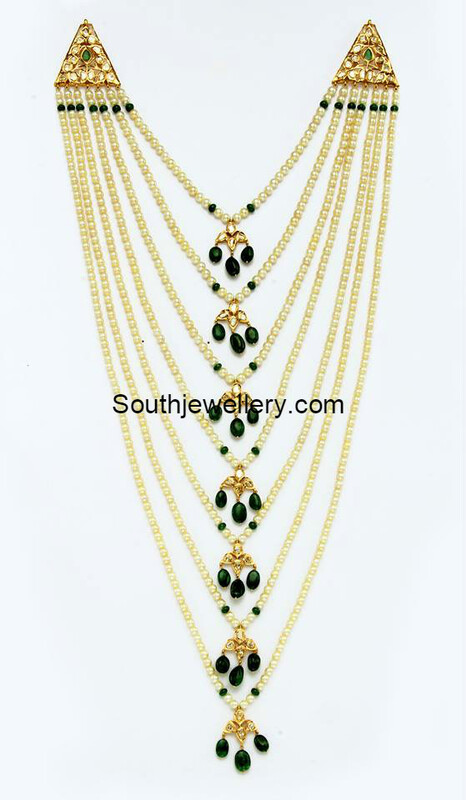 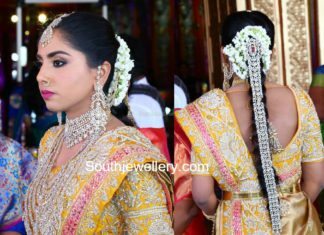 Harini Boinipally in a diamond choker, long layered diamond haram, diamond earrings, diamond tikka and diamond jada.